NO PURCHASE NECESSARY. This contest is open to all teachers and administrators currently employed at any institution accredited by Alberta Education. Contest registration must be completed by a teacher or administrator at the institution using an official work email address, which must be verified. Only one registration per institution is permitted. Each contestant must complete the appropriate contest entry form and follow contest directions in full to be eligible to win a prize. By entering the contest, the contestant consents to the release of his/her name and that of the institution that they represent. All entries become the property of Astronomer 4 Hire / AstroDome Planetarium and will not be returned to contestant. Successful registration will provide the contestant with seven (7) entries into the contest. An additional twenty-five (25) entries will be awarded if the AstroDome Planetarium came to your school during the 2013 - 2014 school year AND the contestant indicated this when they registered. 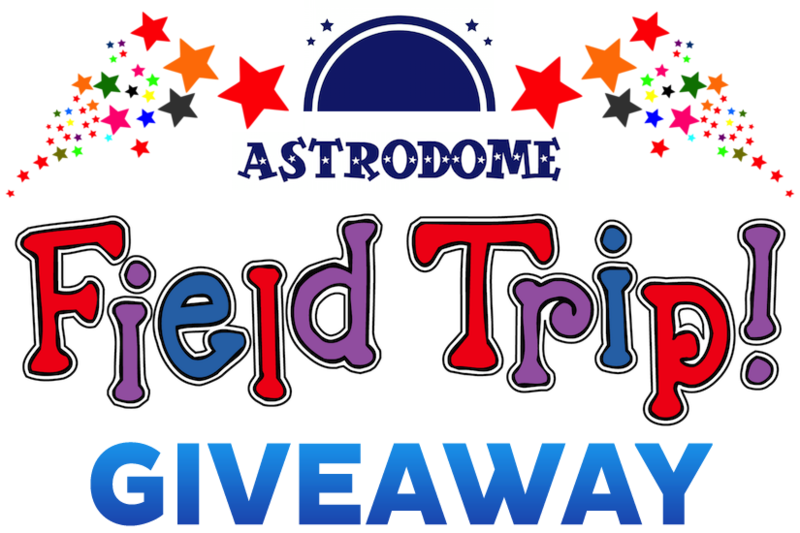 An additional twenty-five (25) entries will be awarded if the AstroDome Planetarium came to your school during the 2014 - 2015 school year AND the contestant indicated this when they registered. Eligible entries can also be awarded through social media interactions. An additional twenty-five (25) entries will be awarded if you follow us (@planetarium_51) on Twitter AND send us a Direct Message stating you just followed us. Also, an additional twenty-five (25) entries will be awarded if you like us (AstroDome Planetarium) on Facebook AND send us a Private Message stating you just liked us. @planetarium_51 on Twitter. These contest entry tweets are limited to one per day throughout the duration of the contest period, which runs for 243 days, and these tweets must NOT begin with the "at sign" (@) or else they will be ineligible. Twitter notification will be used to keep track of these tweets and Astronomer 4 Hire / AstroDome Planetarium will not be responsible for notifications that fail to reach us due to technical problems or glitches associated with Twitter and/or its partners, affiliates or subsidiaries. Likewise, we are not responsible for notifications that fail to reach us due to a denial-of-service (DoS) attack on Twitter. The maximum number of entires a contestant can have on the last day of the contest is 350. The contest begins September 15, 2015 and ends May 14, 2016. The Grand Prize Winner will be determined by a random draw held on May 15, 2016. The Grand Prize - an In-School Field Trip - must take place sometime between May 24, 2016 and June 30, 2016 or it will be forfeited. The Monthly Prize Winners will be determined by a random draw held on the 15th day of the month, each month, from October 2015 to April 2016 inclusive. All entries for the Monthly Prize must be received by 11:59 PM (Mountain Time) on the 14th day of the month to be eligible. All entries for the Grand Prize must be received by 11:59 PM (Mountain Time) on May 14, 2016 to be eligible. Prizes must be accepted as awarded and no cash equivalent is available. The Monthly Prizes are neither refundable nor transferable. The Grand Prize is neither refundable nor transferable and the awarding of the Grand Prize cannot be extended beyond June 30, 2016. NO SUBSTITUTION OF PRIZES IS PERMITTED EXCEPT BY ASTRONOMER 4 HIRE / ASTRODOME PLANETARIUM IN ITS SOLE DISCRETION. ASTRONOMER 4 HIRE / ASTRODOME PLANETARIUM RESERVES THE RIGHT TO SUBSTITUTE ANY PRIZES WITH ANOTHER PRIZE OF EQUAL OR GREATER VALUE. PRIZES ARE NON-TRANSFERABLE AND ARE NOT REDEEMABLE FOR CASH OR CREDIT. The Grand Prize will consist of an In-School Field Trip in which full-dome planetarium movies will be viewed by students as part of an end-of-the-school-year Fun Day. This prize is valued at $999 and it includes the normal Base Fee, Admission Fee, Mileage Surcharge (if applicable) and Accommodation and Meals (if applicable). There will be a random draw executed by Astronomer 4 Hire / AstroDome Planetarium for all prizes. This draw will take place in High River (Alberta) from all eligible entries received on or before the contest closing date(s). The odds of winning a prize will depend upon the total number of eligible entries received on or before the applicable contest closing date(s). Contestants who have been selected to win a prize from one of the random draws must correctly answer a mathematical skill testing question. Any contestant who has been selected, but who has not successfully completed all the mandatory fields on the entry form will be deemed to have forfeited the prize and Astronomer 4 Hire / AstroDome Planetarium shall be entitled to select a new name from the qualified contestants. Prize winners will be emailed or phoned and may be required to complete and return a release form in order to redeem their prize. Return of email notification as undeliverable after three attempts or return of mailed prize as undeliverable will result in forfeit of prize. By entering this contest the contestant automatically agrees to accept and abide by all these Rules and Regulations. Contestants agree to abide by all the terms of these Rules and Regulations. Restrictions, conditions, and limitations apply. This contest is governed by the laws of Canada. All federal and local laws and regulations apply. All taxes on prizes are the sole responsibility of the prize winner. Return of any prize / prize notification as undeliverable may result in disqualification and selection of an alternate winner. By entering, participants release and hold harmless Astronomer 4 Hire / AstroDome Planetarium and their directors, officers, and employees from any and all liability for any injuries, loss, or damage of any kind arising from or in connection with this contest, or the use or acceptance of any prize won. BY ENTERING THIS CONTEST, YOU AGREE TO BE BOUND BY THESE RULES AND REGULATIONS. The Rules and Regulations will be posted at all times at www.astrodome.ca/rules-and-regulations.html. If, for any reason, the contest is not capable of running as planned, Astronomer 4 Hire / AstroDome Planetarium reserves the right at its sole discretion to cancel, terminate, modify, or suspend the contest. Except as expressly warranted herein, the prizes are provided to winners as is without further warranty of any kind. IN NO EVENT SHALL CONTEST ENTITIES BE RESPONSIBLE HEREUNDER FOR ANY INCIDENTAL, CONSEQUENTIAL, SPECIAL, OR INDIRECT DAMAGES, EVEN IF CONTEST ENTITIES HAVE BEEN ADVISED OF THE POSSIBILITY OF SUCH DAMAGES.